“Mark Prestwich, currently city manager in Nevada City, will be St. Helena’s next city manager,” as the St. Helena Star is reporting. “On Tuesday the City Council approved a contract awarding Prestwich an annual base salary of $189,880. Prestwich was chosen from a pool of 49 applicants, following a nationwide search. “According to a staff report, Prestwich has 21 years of experience with operations, project management and executive leadership in small, medium and large California municipalities. He has been city manager of Nevada City since 2014. 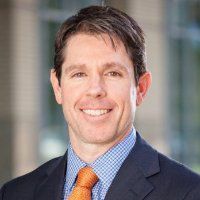 “Prestwich served as special projects manager for the city of Sacramento from 2006 to 2014, managing citywide strategic initiatives and innovation projects. He also assisted with the Napa Flood Control Project between 1999 and 2006, when he worked for the city of Napa Public Works Department and the City Manager’s Office. “Prestwich will start work on July 31.” Mark’s letter of resignation is in the comment section. It’s been an honor to serve as your City Manager for the past three years. With the assistance of a talented leadership team and our collective stewardship of City financial resources, Nevada City has achieved an improved fiscal condition, built a strong labor-management relationship, planned for its future, and positioned the City for renewed investment and prosperity. It’s now time for me to pursue new challenges. Pursuant to the requirements of my contract, I am writing to provide you notice that I will resign effective July 30, 2017 to accept an opportunity to serve as City Manager of the City of St. Helena, California. – Securing community support and sustainable funding for the City’s Fire Department in order to avoid a deterioration of emergency response service levels and ensure the continued full- staffing/operation of Fire Station 54. The approval of Measure C also contributed to an measurable improvement in the City’s Insurance Service Office (ISO) rating. – Approval of the “ParkEasy Nevada City” parking expansion program that will deliver more than 150 new parking spaces to Nevada City over the next four years. – Securing more than 80% voter support for the simplification of the City’s Business License Tax to provide convenient, customer-friendly online payment options, reduce administrative processing, and enable the City to keep business tax rates competitively low. – Unanimous City Council approval of a Hotel Investment Incentive Program ordinance to encourage renovation of guest lodging amenities and generate a minimum of $1 million in additional hotel tax revenue over 20 years. – Adoption and implementation of Nevada City’s “NCFORWARD” Economic Strategy to promote economic vitality and strengthen the City’s public infrastructure, facilitate the delivery of key projects, create a business and digital-friendly civic environment, and engage citizens in a community-driven fashion. – Launching a five-year capital improvement program to assess system conditions and prioritize investments in the City’s critical, but aging, water and wastewater infrastructure. – Designation by the California Arts Council as one of 22 semi-finalists for California’s coveted Cultural Districts pilot program. The City of Nevada City is a friendly, caring community with talented staff providing outstanding service for our citizens. I will miss working with you all!